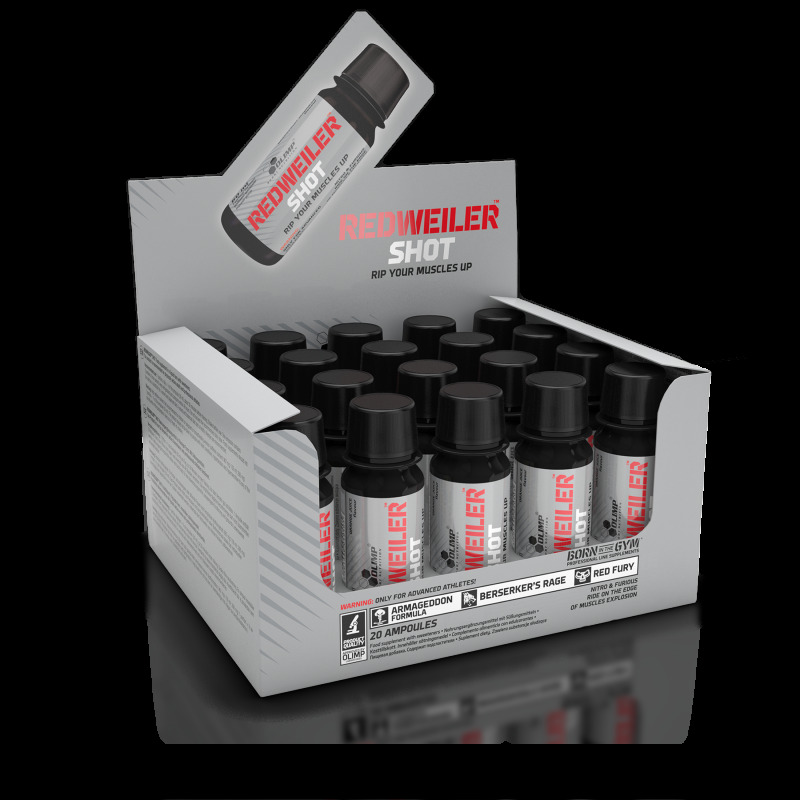 REDWEILER® SHOT is a fiendishly strong pre-training shot, which can not be compared with what you've tried so far! It is remarkable what can be created when our specialists get down to it. Recommended use: 1 portion a day = ½ of the ampoule (30 ml), about 30 minutes before training. Shake before use. One ampoule contains 2 portions. Once opened, keep refrigerated and consume within 48 hours. Do not exceed the recommended daily dose. Food supplements should not be used as a substitute for a varied and balanced diet. A varied and balanced diet and a healthy lifestyle are recommended. Warning: High caffeine content. 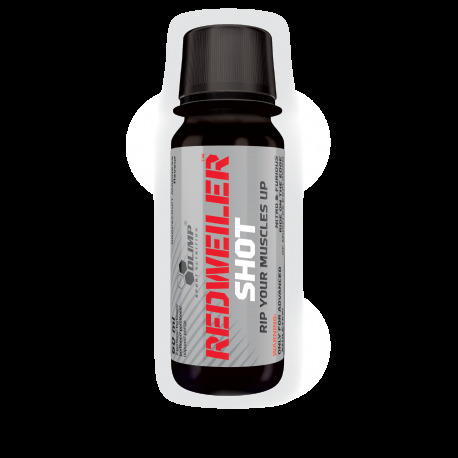 Not recommended for children or pregnant or breastfeeding women (caffeine content: 967 mg/ 100 ml; 290 mg/1 portion = ½ of the ampoule (30 ml)). The product should not be taken by people with heart conditions, hypertension and hypersensitive to any of the constituents of the preparation. Keep out of reach of children.